Edit:There is another version of this article available in pdf which includes more explicit mathematical formulas and an example worked in gruesome detail. We all know that some games are easier to play than others, and we all make adjustments in our head and in our arguments that make reference to these ideas. Three points out of a possible six on that Californian road-trip are good, considering how good those teams are; putting up 51% possession numbers against Buffalo or Toronto or Ottawa or Colorado just isn’t that impressive considering how those teams normally drive play, or, err, don’t. 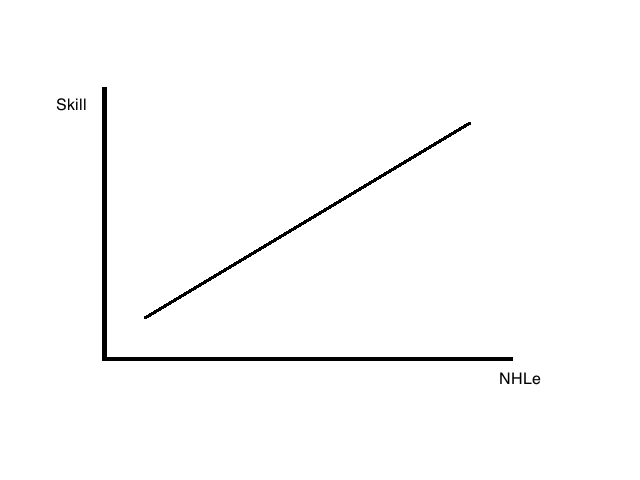 The graph above represents how some may look at and use hockey statistics; the better a player performs in a statistic equates to more skill. This practice can be found in league equivalencies -now more commonly known as NHL equivalencies (or NHLe)- originally contrived here by Gabriel Desjardins. 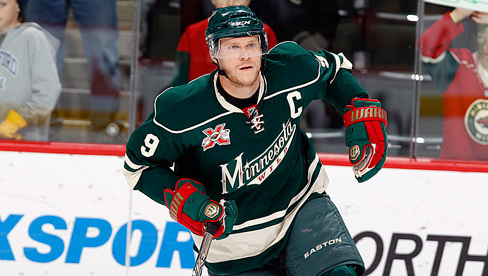 Mikko Koivu may actually really be the captain of a dominant possession team.